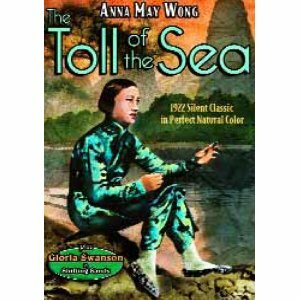 Thus begins the intertitle narration of Hollywood’s first two-strip Technicolor film: The Toll of the Sea, released in 1922, directed by Chester M. Franklin with a screenplay by Frances Marion, and starring 17-year-old Anna May Wong in her first leading role. Why, on an opera blog, am I writing about a groundbreaking yet obscure silent film? For the simple reason that it’s a retelling of the story of Madame Butterfly! I once read a glowing review of this film that declared it to be even more moving than Puccini’s opera. Having adored Puccini’s opera since age fourteen, I have to disagree, but still I’d recommend this adaptation to any curious viewer. It’s a pretty, poetic little movie, though hardly PC by modern standards, and much less corny than it could have been. 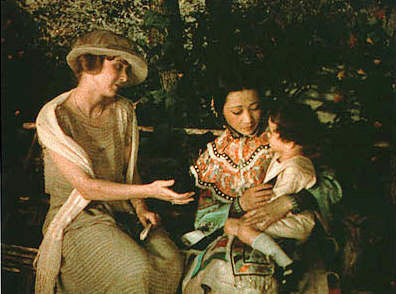 The story is moved from Japan to China and updated to the then-present day of the early 1920s. Butterfly is renamed Lotus Flower (an unfortunate name in hindsight, since “lotus blossom” is now a derogatory term for the type of exotic, submissive fantasy lust object that Butterfly is so often accused of being), while Pinkerton is renamed Allen Carver. In keeping with the new setting, the opera’s “geisha”/”temporary marriage” scenario is omitted. 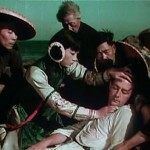 Instead, wealthy young orphan Lotus Flower finds Allen shipwrecked and unconscious in a tide pool and gets help for him. He then stays with her in China until his parents wire for him to come home. 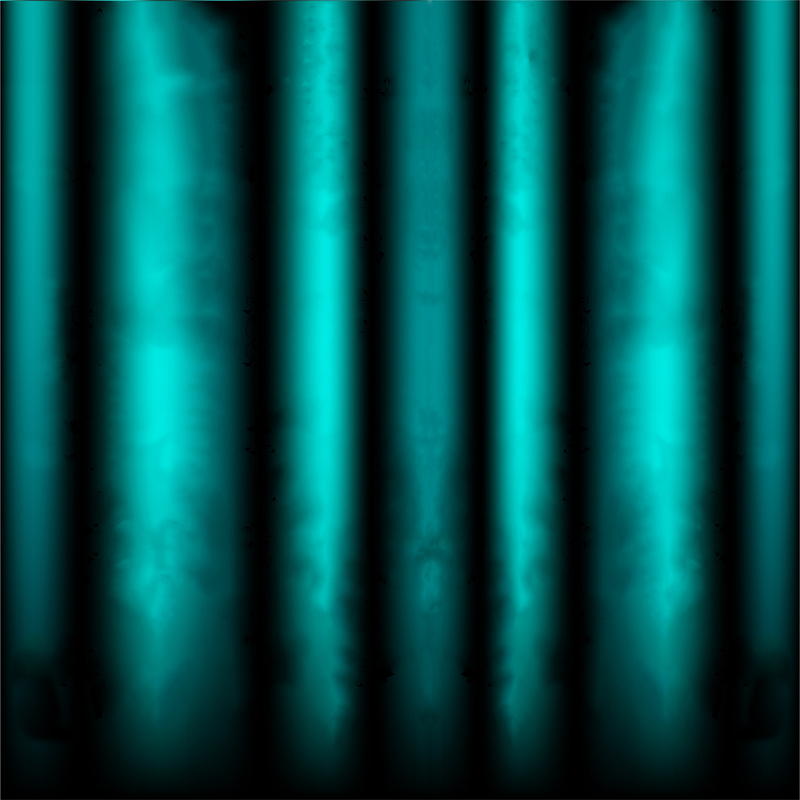 From there on, the plot is stripped to its bare bones. No Sharpless, no Suzuki (Lotus Flower has four servant women, but they have no lines), no Goro, no Yamadori, no conversion to Christianity and no disowning by any relatives (no relatives are ever seen or mentioned). 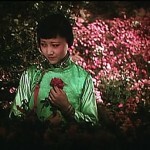 Goro’s thorn-in-the-side role is taken by two catty women neighbors who disdain Lotus Flower’s naïve faith in her love. Nor is Lotus Flower threatened with a disreputable life if Allen doesn’t come back. Between this and her lack of poverty, it’s unclear why she agrees to give up her child in the end: I assume she just thinks he’ll be better off in America and with two parents. At the same time, the film includes a few interesting ideas that I think could have worked in an alternate version of the opera’s libretto. When Allen first tells Lotus Flower that he’s going back to America, she’s overjoyed, assuming that she’ll be going too. She dresses in (pitifully outdated) Western-style clothes for the journey, only to be shattered by the truth. Allen himself, meanwhile, is a bit less of a cad than Pinkerton, but still quite the weakling. He initially wants to take Lotus Flower home with him, but his fellow Americans talk him out of it. Three years later, he and his wife Elsie come back just to disillusion Lotus Flower after they learn she’s still waiting – not to take the child, whom they don’t know about yet. Lotus Flower cries at first, but then takes the news so graciously that she even invites them to join her for tea. 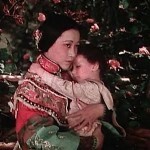 When they glimpse the child, Lotus Flower lies that he belongs to the family next door, but later, Elsie returns alone and Lotus Flower confesses that the child is Allen’s. 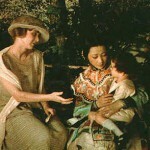 The meeting ends with Lotus Flower giving the boy to Elsie, declaring that she was only a “little Chinese nurse” and that Elsie is his real mother. One possible way that this retelling improves on the opera is its portrayal of the little boy. While in the opera he tends to be just a living prop, here he’s an adorably active little thing, who talks (via the intertitles), responds to the people around him and shows clear attachment to his mother. The scene in which Lotus Flower gives him up is truly moving, as he clings to her and resists being taken away until she gently insists. In the end, since hara-kiri isn’t a Chinese custom and in keeping with the thematic importance placed on the sea, Lotus Flower drowns herself. According to a 1922 review that I read, the original ending showed her wading out into the sea. Unfortunately, the last reel of the film has been lost. The ending of all current editions, filmed in 1985, consists of two frames of crashing waves beneath a sunset, with the intertitle of Lotus Flower’s final words between them: her fate is only implied. 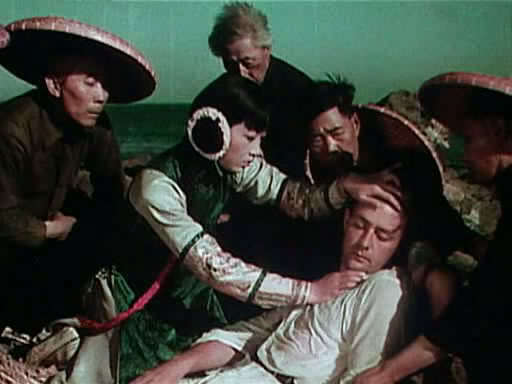 I assume the film’s restorers were reluctant to reshoot the scene with an actress who wasn’t Anna May Wong. 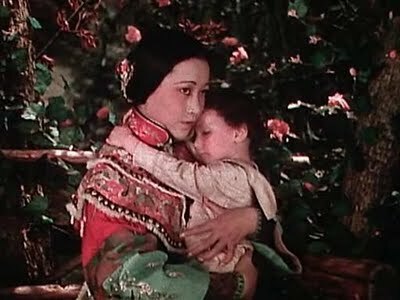 The lovely young Ms. Wong gives a lovely performance, with a perfect mixture of girlish charm, aching vulnerability, gentle dignity and (apart from a bit of melodramatic lip-trembling) a naturalistic subtlety not usually associated with 1920s Hollywood. She may cry too often, but that’s presumably the fault of the script, not her. Unfortunately yet predictably, the intertitles have her speak in all-too-stereotypical broken English. “If you no come back to me,” she sobs at Allen’s departure, “you make my heart go dead.”. But thankfully it’s only grammatical errors: no altered spelling to convey her accent, unlike in the original Madame Butterfly book and play. 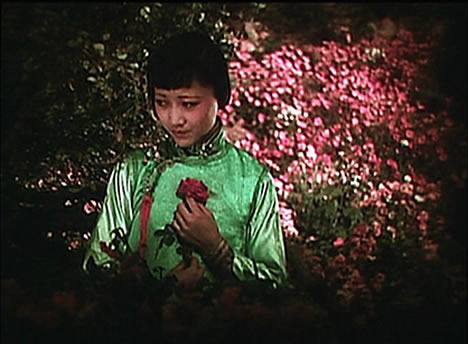 The film’s colors are pale and muted by modern standards, but as critics have observed, they bring a pretty pastel quality to the picture. At least two different musical scores have been attached to the film over the years, both of which can be heard on Youtube – neither holds a candle to Puccini. While I doubt I’ll ever know the answer, I wonder… did Puccini ever see this movie? He was still alive (and would have been working on Turandot) when it was released… and if he saw it, what did he think of it? 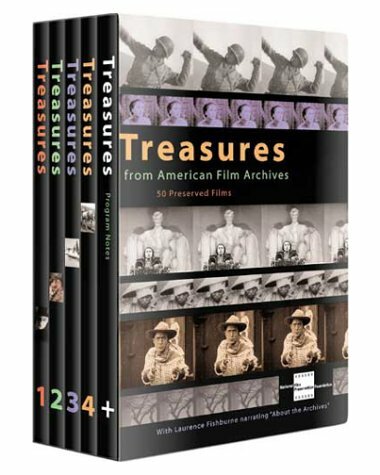 The Toll of the Sea is available on DVD both by itself and, more widely yet much more expensively, as one of many films in the many-disc compilation Treasures from American Film Archives. It can also be seen on Youtube. As far as cinematic renditions of the Butterfly story are concerned, it can’t replace Frédéric Mitterand’s film of Puccini’s opera as my favorite. But still, it has beauty and poignancy, particularly in the outstanding performance of Anna May Wong, and its technology was groundbreaking for its day. 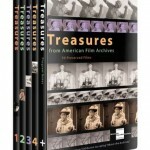 I recommend that any lover of Butterfly or of silent film give it at lest a glance.